In order to produce the compressed air, air compressors spend around 70% of the total power consumption in the most of factories. The demand of the compressed air in the factory is significantly different depending on the various factors, such as the time, seasons, weather, and working environment. According to the influences by those factors, the production volume of the compressed air is also not stable. 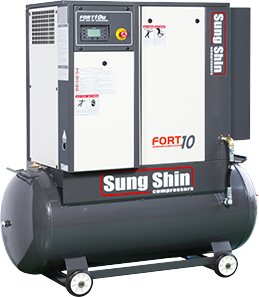 Therefore, air compressors unlimitedly repeat the load and unload operation depending on the fluctuation in the demand. During this process, air compressors consume the much more unnecessary power than what we expect.